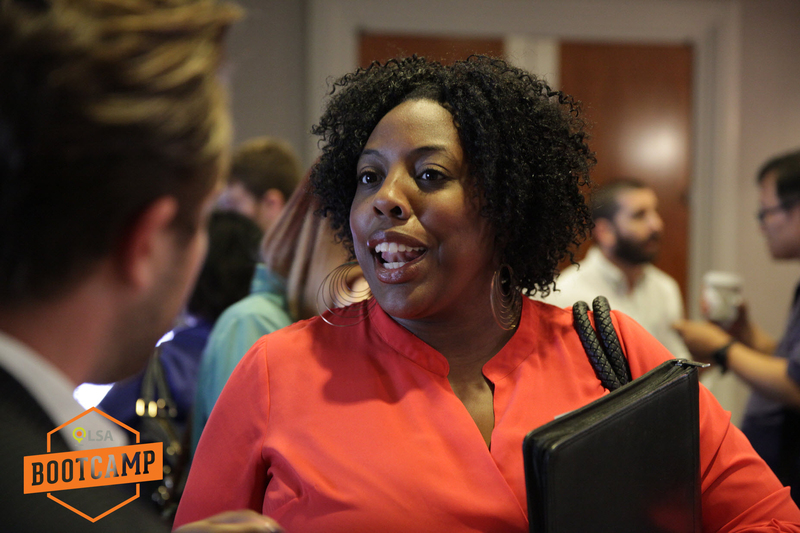 LSA Bootcamp features Speakers from Google, Yelp, Yahoo, YP, Constant Contact and more to provide affordable digital marketing education and solutions during a one-day seminar at Embassy Suites in downtown Atlanta. LSA, a trade association of companies that provide local and location-based advertising solutions, has created LSA Bootcamp, an affordable ($30) one-day educational program to help local business owners gain a better understanding of the fundamentals of digital marketing. Following successful events in Charlotte and Los Angeles, the LSA Bootcamp is coming to the Embassy Suites in Atlanta, Centennial Olympic Park, on Sunday August 30, 2015. The event will demystify and provide business owners and local marketers with practical information about online and mobile marketing, as well as direct access to the leading internet companies. Speakers and exhibitors include Google, Yahoo, YP, Constant Contact, Yelp, Microsoft, CallRail, DexMedia, Where2GetIt, aro marketing and more. 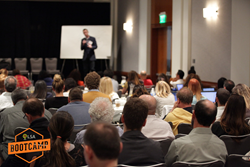 Additional Bootcamps are planned for Portland, Oregon and Austin, Texas in 2015 and early 2016. The average US small business now uses more than seven marketing and advertising methods to promote itself. This reflects the increasing complexity of online marketing and it’s only getting more challenging according to Local Search Association (LSA) survey data. The program content is in line with this finding and other small business digital marketing needs, according to LSA research. The top categories where local businesses intend to increase spending include websites, social media, mobile, display advertising and search marketing. The small business attendees from previous bootcamps have been impressed. “The day was full of excellent, engaging speakers sharing valuable insights into not only areas I wanted information on, but in areas totally new to me. I highly recommend,” said Roger Ball, a Commercial Photographer who attended the Charlotte, NC program. The program is intended for digital novices as well as those that already have experience with online marketing. It’s divided between general advice sessions and tactical breakouts that provide specific guidance and how-to information from industry experts. 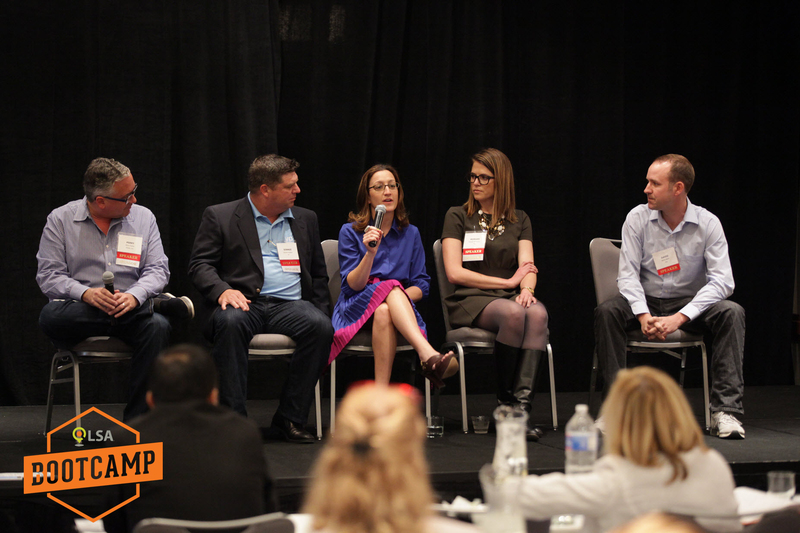 LSA Bootcamp also offers informal peer networking and access to sponsors and exhibitors for in-depth discussion of their specific marketing issues and questions. To learn more visit http://www.LSABootcamp.com. Tickets are just $30 and include lunch and refreshments. The LSA is an industry association of media companies, agencies and technology providers who help businesses market to local consumers. LSA has 300 members in over 22 countries and the Association helps these members realize the power of location-based marketing and commerce through conferences, consulting, insights, advocacy and more. 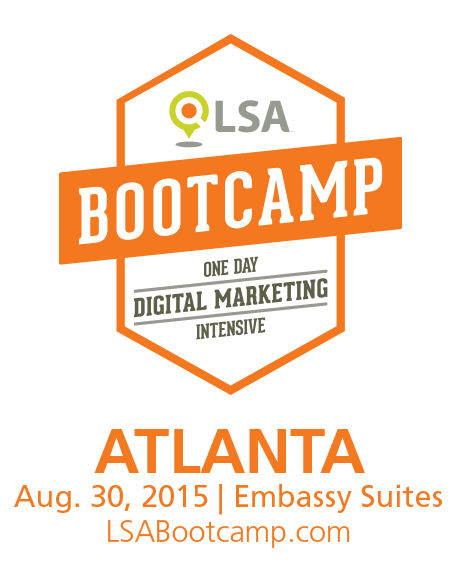 LSA Digital Marketing Boot Camp Atlanta, Georgia Aug 30, 2015 Great Speakers, excellent panels provide high quality content at all of the LSA Bootcamps. 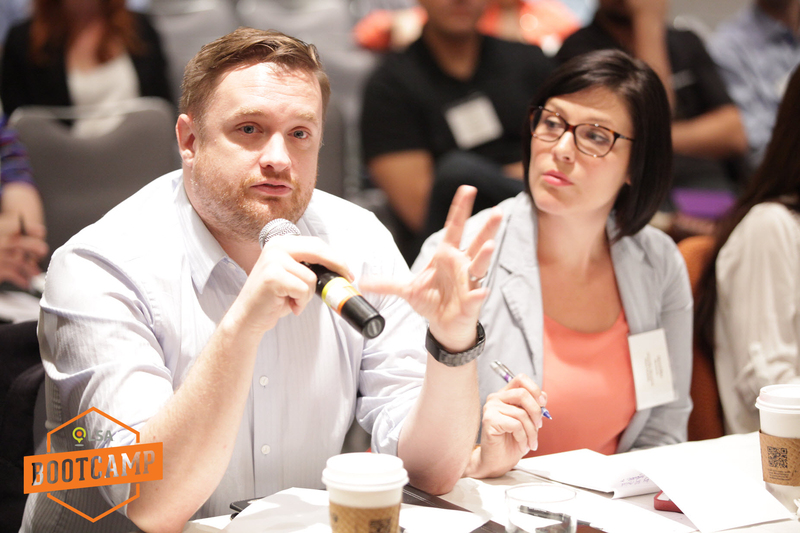 Small business owners have easy access to the presenters at the bootcamp The LSA Digital Marketing Bootcamp not only has excellent content but provides Great Follow-up after the event.